Creative agency: experience design & identity. Brussels, Nicosia. 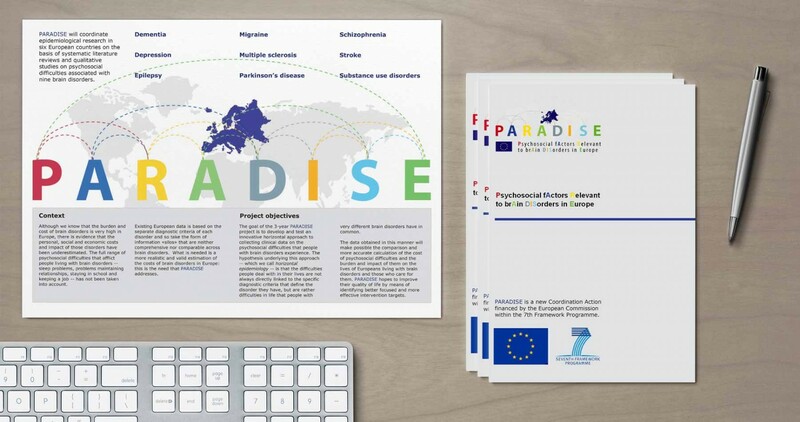 PARADISE is an EU funded project, researching psychosocial difficulties that people suffering from brain disorders have in common to improve future diagnosis. graphility was commissioned by the European Brain Council for branding, web design, and print collaterals. We are a creative agency designing experiences, identities, and lasting memories. Find us in Brussels (Belgium), Nicosia (Cyprus), and on the web. Tell us about your project, and we'll get back to you within 24 hours. To understand your needs better, please fill and join this client worksheet PDF with your request. Did you complete our document?